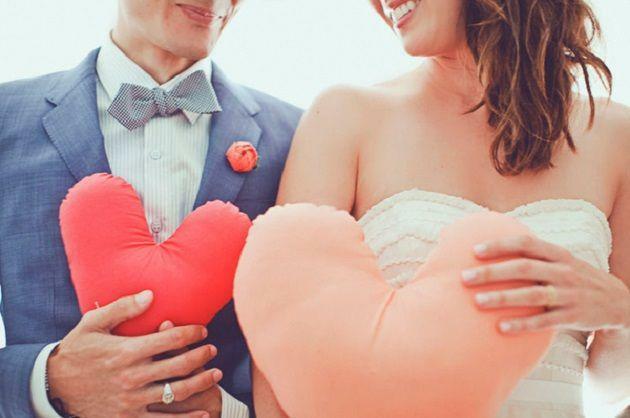 We couldn’t call ourselves devout wedding bloggers if we were to let one of the most important days on the romance calendar go by without taking a little bit of inspiration from it! Valentine’s Day is wedding inspiration in a nutshell, and all those pretty, romantic hearts and flowers can sit smoothly in the most simple wedding palette. For Valentine’s Day weddings we love to mix red to create depth with blush pinks to create a softer more romantic edge. Of course this palette isn’t just for February the 14th, it will literally work for any date in any season. Think delicious pomegranate signature cocktails, hopelessly romantic blush heels and moreish macaron favours for a start, and fill in the blanks from there! Find the perfect wedding suppliers in Ireland to help you to recreate this wonderful wedding palette for your big day!